With nothing but brains, ambition and sheer nerve, Charlotte Hale built a career as a tough, do-anything-to-succeed real-estate developer. She's at the top of that mountain...but her life is empty. Her friends are as grasping and insincere as she has become. Far worse, she's alienated her family so completely that she's totally lost touch with her only daughter. With each wrenching, exhilarating decision, Charlotte finds that climbing a new mountain--one built on friendship, love and forgiveness--will teach her what it truly means to build a legacy. Emilie Richards s many novels feature complex characterizations and in-depth explorations of social issues, a result of her training and experience as a family counselor, which contribute to her fascination with relationships of all kinds. Emilie, a mother of four, lives with her husband in northern Virginia, where she is currently working on her next novel for MIRA Books." "Complex characters, compelling emotions and the healing power of forgiveness-what could be better? I loved this book!" "A juicy, sprawling beach read with a suspenseful twist." This quintessential beach read is full of intrigue, romance, comedy and a splash of mystery." "Intricate, seductive and a darned good read." "This novel features a multilayered plot, vivid descriptions, and a keen sense of time and place." 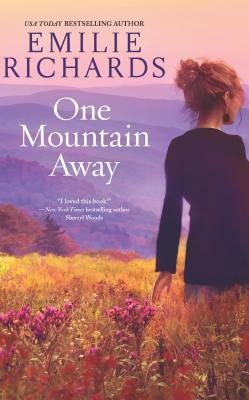 "Richards's ability to portray compelling characters who grapple with challenging family issues is laudable, and this well-crafted tale should score well with fans of Luanne Rice and Kristin Hannah." "Magically interpreting the emotional resonance of love and loss, betrayal and redemption through luminously drawn characters...glows with transcendent warmth, wisdom, grace, and compassion." "A heartwarming, richly layered story." "[Richards] draws these women of different generations together. Richards should've included a special pull-out hanky insert, but readers looking for positive resolutions won't be disappointed." "When I first began reading ONE MOUNTAIN AWAY, I wondered where the story was going. A few pages later, I knew precisely where this story was going--straight to my heart. Words that come to my mind are Wow, Fabulous, and Beautiful. Definitely a must-read. If any book I've ever read deserves to be made into a film, ONE MOUNTAIN AWAY is it! Kudos to Emilie Richards."